This morning Ofcom has announced that it has ordered BT to begin the legal separation its Openreach division. BT was expected to respond to Ofcom's competition concerns laid out back in July but it has failed to provide any alternative voluntary proposals to Ofcom. So Ofcom is now going to push ahead with plans to create a more independent Openreach with the aim of improving broadband and telephone services UK-wide. Summing up its feelings regarding BT's reticence, Ofcom stated "We are disappointed that BT has not yet come forward with proposals that meet our competition concerns. Some progress has been made, but this has not been enough, and action is required now to deliver better outcomes for phone and broadband users." As regular HEXUS readers will know, Openreach is a division of BT which develops and maintains the UK's major telecoms network. It is a controversial part of BT as it serves rival telcos such as Sky, TalkTalk, and Vodafone but is accused of favouring BT's own retail business by offering rivals expensive and inefficient service levels. Ofcom didn't go as far as insisting that Openreach be split entirely from BT this summer, it just asked that it become a legally separate entity, with its own independent board. A sticking point with BT and Ofcom seems to be how independent Openreach will be. Ofcom will be scrutinising Openreach board decisions closely to make sure there is no undue influence from BT. If Ofcom's monitoring suggests it, the watchdog will re-open the case for full structural separation. Ofcom looks to be giving BT a bit more time as it prepares "a notification to the European Commission to require the changes to increase Openreach's independence". The Commission could step in after a consultation early next year. 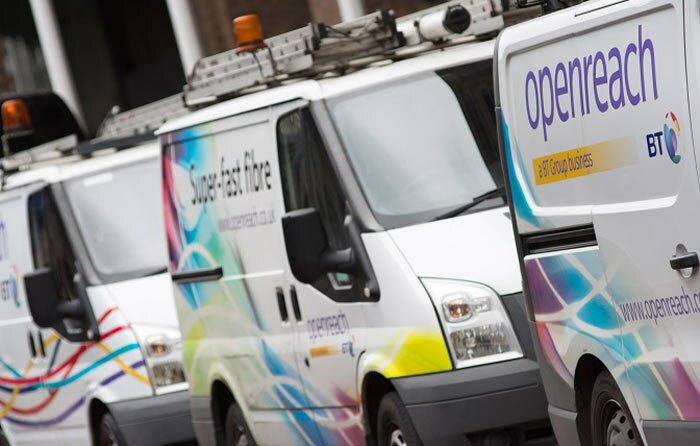 In a statement BT said it hadn't finished getting ready for the legal splitting off of Openreach as there were two outstanding wrinkles; concerning the reporting line of the Openreach chief executive, and the form of legal incorporation. BT said it would continue to work with Ofcom to reach a voluntary settlement "good for customers, shareholders, employees, pensioners and investment in the UK's digital future." Only yesterday it appointed Mike McTighe to be first Openreach Chairman. Sky emailed a statement to HEXUS about the above news. A spokesperson for sky wrote "Let's not forget why we are here - BT Openreach has continued to fail consumers. This is why we have always said that we want a solution that is clear and executable and in the best interests of consumers and industry." Sky said it will keep a close eye on Ofcom proposal execution by BT and Openreach. Cellular speeds, once the 5G network are rolled out, are largely going to make poor landline speeds irrelevant. I expect they knew the infrastructure renovation required wasn't cost effective in the long run, hence the neglected state of our phone lines. Just get rid of the copper and give me fibre to my house. I thought most of the cellular masts were on DSL lines, making the DSL and backhaul network just as important as ever.